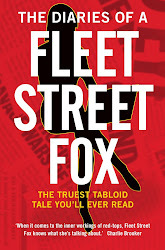 fleet street fox: The news is dead. Long live the news! THE world would be a better place if newspapers were regulated out of existence. Seriously; bring it on. Let's have exemplary damages for any supplier of news - papers national and local, struggling magazines, university rags - that's not signed up to it, so they can be financially pummelled out of publishing. Let's have a regulator that meets with the approval of politicians and is verified by them too, via the medieval Privy Council consisting of current and former Cabinet ministers, even the ones who've been booted out of office by a pissed-off public, and the whole thing can be torn up if newspapers seriously upset two-thirds of the Houses of Parliament, which let's face it isn't difficult. To top it all off, let's suggest charging people to complain when it used to be free, let's make this the only regulatory body in existence without a single industry representative on it, and then let's spend more than a year farting about with it so that the public think the whole thing's a stitch-up anyway. What will happen next, do you think? 1. A lot of newspapers and magazines will simply not sign up to it. Most magazines never signed up to the existing one; there's no reason to expect they'll jump at something stricter. And there are two principles at stake - the fact 1,200 British newspapers will not see why they should be punished for the phone-hacking scandal they had no part in, and that any state involvement or compunction by means of massive fines is, by definition, not a free Press. Would Twitter be free if a Cabinet minister checked it first, or billed you for £1m for tweeting something you thought was true? You can call it underpinning or a dab of statute - but the principles are inarguable. Privy Councils and Royal Charters are not democratic, and no-one got elected to Parliament on the basis of greater controls on the Press. 2. Those who don't sign up will be massively fined by the courts. It wouldn't take a Chris Jefferies - if you provide news, and don't join the regulator, you will be made to pay extraordinary damages even if you win the case. 3. Smaller news organisations will shut down. Universities, local communities, parish magazines, school papers, simply won't be able to pay the legal insurance premiums. Some will be punished excessively, and others who are already suffering with tightening budgets will simply give up the ghost. Private Eye, the Spectator, the Independent, and the Observer will find publication more difficult if not impossible. 4. Those who do sign up, and face lower legal costs, will have to pay to be complained about. The old Press Complaints Commission was free for users, and the process of deciding complaints was done by email and letter. It was pretty cheap, and funded by voluntary payments by the industry. The new system will involve arbitration hearings that are much more expensive and will have to be paid for by the publication complained about - even if it's found to have been in the right. Perhaps if you hate the Daily Mail more than you like getting fresh air that sounds reasonable, but it's a bit of a sting for the other 1,200 publishers who'll be penalised for writing about anyone in a less than flattering way. On top of that the Culture Secretary Maria Miller is talking about also charging people to complain to reduce trivial complaints. It will, but it will also reduce complaints from people who aren't well-off, the elderly, the disabled. The result would mean newspapers can say what they like about those too poor to pay the fees. 5. Newspapers will, in all likelihood, sign up to their self-designed regulator and tell the Government to stuff it. A bit later, someone will sue or complain about a newspaper, and the case will however decided end up in the appeal court and then Supreme Court where judges will be asked to decide whether we have a free Press or not. Now this entire process won't be quick; it'll take five to 10 years of faffing about, during which the McCanns, the Dowlers, the Hugh Grants and Chris Jefferies of the world won't feel any better about the way they have been treated. During that same period any other people who feel hard done by won't know who to complain to or have any increased faith in either their newspapers or their politicians. What will any of that solve? How will newspapers behave better, or politicians keep their noses clean, or Fleet Street - the spiritual and ethical mother of all journalists in the world - get a better reputation? It will solve nothing. And I absolutely guarantee you two things as a result of all this inane faffing about by morons who don't have a clue what they're doing. Firstly, there'll be another newspaper ethics scandal in about 20 years. They've been happening roughly every 20 years ever since the invention of movable type - in 1662 Parliament brought in 'an Act for preventing the frequent Abuses in printing seditious treasonable and unlicensed Bookes and Pamphlets and for regulating of Printing and Printing Presses' - and there's nothing being done to stop the cycle. Secondly, and the reason I think this could be the best thing that ever happened to journalism, it will force every newspaper editor, proprietor and publisher into a stampede online. Online is unregulated, unless you live in Iran or China or a few other spots, and even there the iron grip on the truth cannot last much longer. Online there are millions of more readers who find it easier to read you than they do to walk to a newsagent's. Online, if you can figure out how to navigate the slightly different currents, there is a future. Advertising and wages are lower, at the moment, but it's picking up and replacing the slack produced by a drop in both in the print media. Readership figures are growing just as those for papers are reaching the end of a curve which peaked in the 1950s. 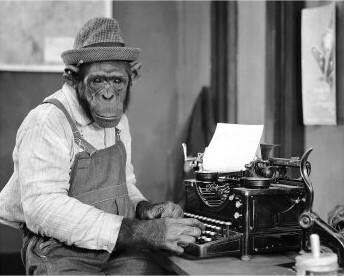 Currently the middle-aged executives of newspapers and magazines are looking at the internet and trying to work it out. They asking themselves how they get 'friends' and what the difference is with 'followers', and tapping randomly at a few keys like a monkey presented with a typewriter. There's no-one who's quite cracked how to make millions from this yet - and big companies filled with journalists cost millions to run - but they will. And the harder the Government makes it for them to print stuff, the more they will turn their rat-like cunning upon their computers. This has happened before. After that 1662 act newspapers found themselves licensed out of existence, so they upped and printed their seditious libels in Holland and shipped them in by boat. They evaded the law, not only because it was unjust and unreasonable, but because lots of people wanted to read what they had to say. Today is no different. The world wide web is our new Holland, and while the days of newsprint might be fading it's for economic reasons rather than because The Reader has turned agin us. That's why over-regulation would be the best thing for journalism, even better than proper self-regulation. It would guarantee our survival for the next 100 years. Of course we could also survive it by having a decent regulator, with the power to punish with fines of £1m, free adjudications, rapid resolutions, prominent apologies, and the power to refer criminal behaviour to the police. It could include, in a minority on its board of worthies, no politicians and no editors, and involve in its processes the 30,000 everyday reporters, feature writers, photographers and sub-editors who know best what it's like at the coalface. It might be nice too if when it had a public consultation about its code of practice it shouted about it so you could all join in. But that would be boring, and everyone would find something to complain about, and it might actually work and that would never do. So by all means, drag us into the darkness. It doesn't matter a damn. Anyone with their wits about them can see there's a new dawn coming, and it's got a smartphone and a wicked business plan. 'What the **** is search engine optimisation?